Super Drilling Pvt. Ltd. - Anchorage Anchors have a very important role in every underground project for the support of excavation and for the purposes of retaining walls and slope stabilization. It is also very necessary for the safety purpose of the underground project. We are well experienced for anchor work and offer design, supply and installation of anchor as per client's requirement. We design, supply and install anchor for the soil anchor, rock anchor upto 120 ton capacity. We have executed following projects of anchor works recently: Design, supply and installation of anchor for the Multilevel car parking project of Municipal Corporation of Delhi at Hauz Khas, Munirka and Subhash Nagar, Delhi.Drilling and installation of cable anchor for Tapovan Vishnu Garh Hydro Electric Power Project at Uttarakhand.We also do anchor for well sinking for bridge foundation. Anchors have a very important role in every underground project for the support of excavation and for the purposes of retaining walls and slope stabilization. It is also very necessary for the safety purpose of the underground project. We are well experienced for anchor work and offer design, supply and installation of anchor as per client's requirement. We design, supply and install anchor for the soil anchor, rock anchor upto 120 ton capacity. Design, supply and installation of anchor for the Multilevel car parking project of Municipal Corporation of Delhi at Hauz Khas, Munirka and Subhash Nagar, Delhi. Drilling and installation of cable anchor for Tapovan Vishnu Garh Hydro Electric Power Project at Uttarakhand. 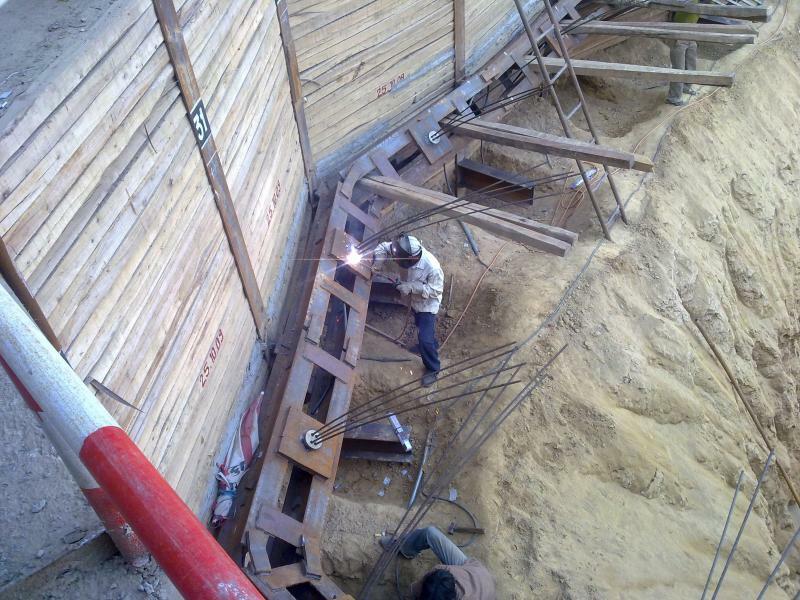 We also do anchor for well sinking for bridge foundation.